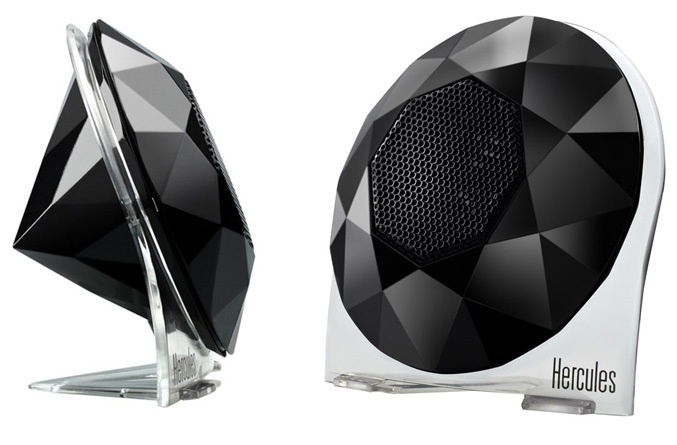 If you can’t afford a real diamond for your girlfriend, may be you can try with the Hercules newest set of speakers to “warm up” her heart. 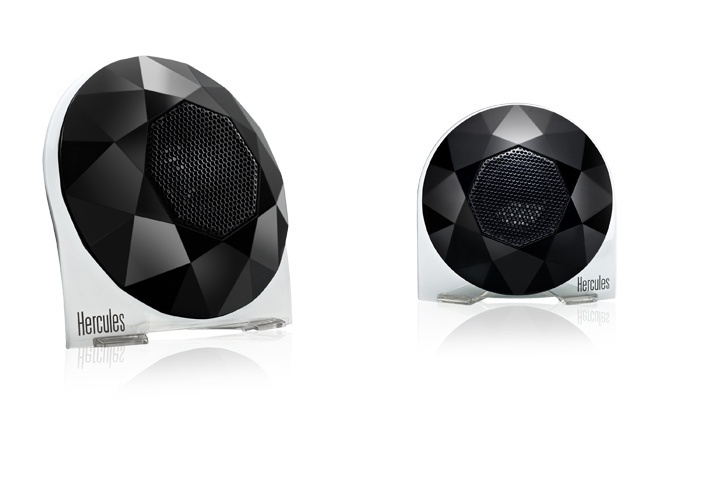 The XPS Diamond 2.0 USB Speakers are designed with female users in mind, brining “elegant style and glamour” to the music listening experience. 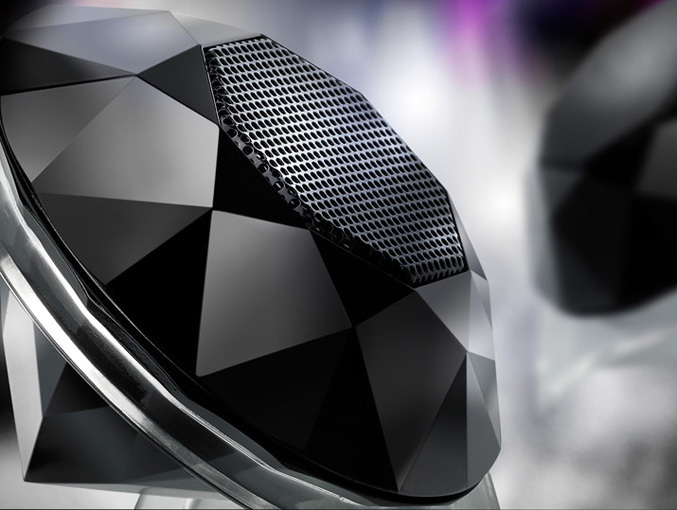 The compact speakers look like jewels and consist of two mini-satellites with black lacquered finish and elegant, transparent base. 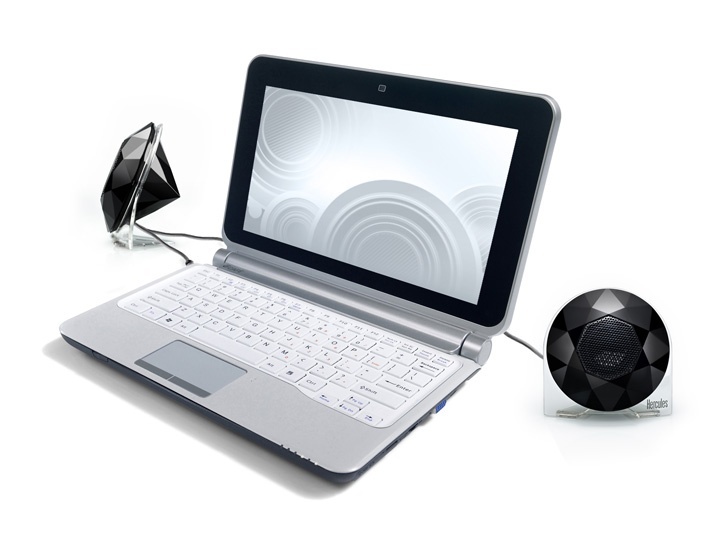 They utilize the USB connection for both, the power and audio signal, and come with a a wired miniature remote for volume control. 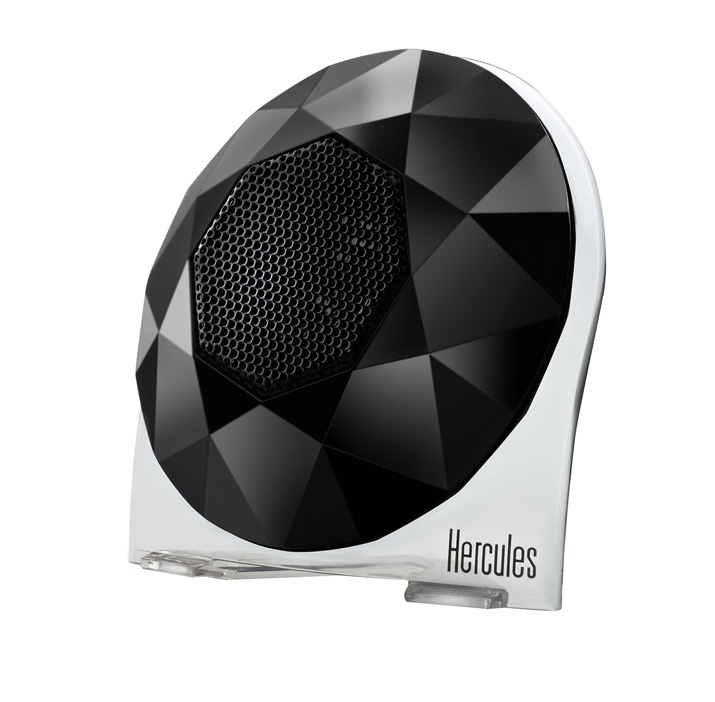 Each magnetic-shielded satellite speaker measures just 3.5″ in diameter and despite its small size, Hercules assures that the XPS Diamond 2.0 USB system delivers “clarity and quality” of sound for music, videos and other applications. 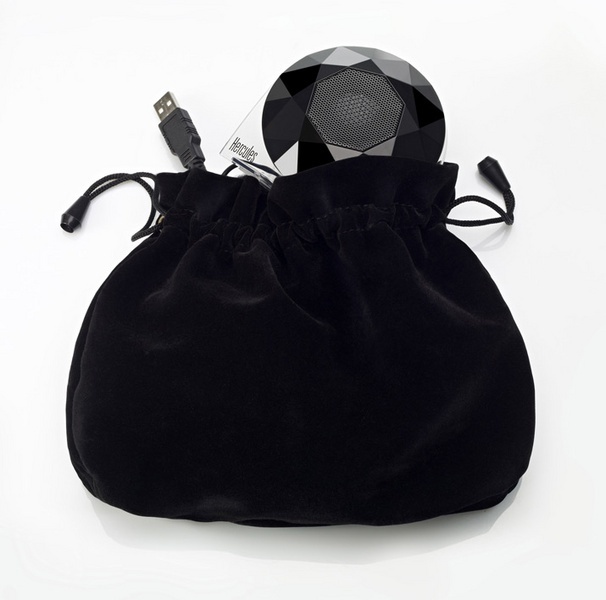 The kit comes with black velvet carrying pouch (featuring separate compartments) for protection and easy transportation. 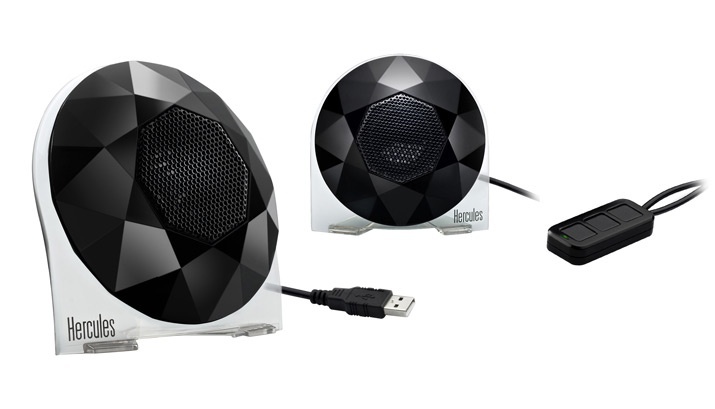 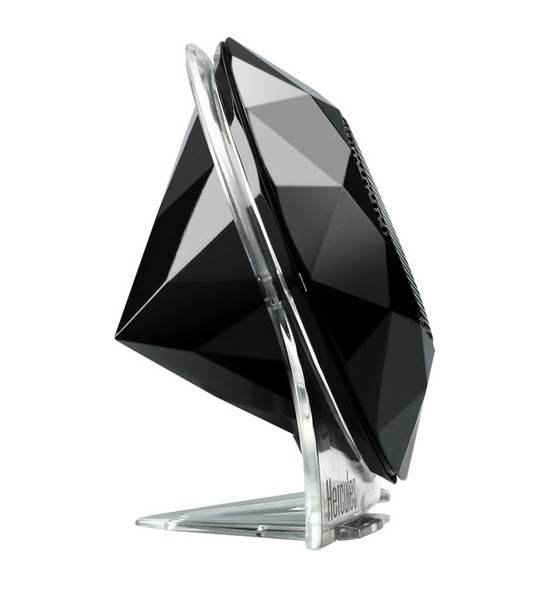 The Hercules XPS DIAMOND 2.0 USB speaker kit will be available in May 2011 for $39.99 .